Derry manager Damian McErlain believes his side must produce a seriously improved display if they are to lift the Division 4 trophy. McErlain offered up words of caution after his side survived a late Wexford fightback to win a dramatic game at Bellaghy. The table-toppers have returned a perfect seven wins from seven games as they travel to Croke Park to face Leitrim in the final. "Seven wins from seven is very positive and you would have taken the arm off someone at the start of the year for that," he said. "But I still would not be happy with the shoot-out that this game became. We were very good on the front foot at times today but we neglected the defensive side of the game." Goals from Enda Lynn, Benny Heron and Ryan Dougan helped the Oak Leafers to a nine-point half-time lead, but Wexford goals from Ben Brosnan and Kevin O'Grady cut the gap to a point. Scorers - Derry: R Bell 0-9 (3f, 2m), B Heron, E Lynn (1f) 1-2 each, R Dougan 1-1, C Doherty 0-2, C McAtamney, N Keenan, P Coney, C Bradley 0-1. Wexford: J Bealin 0-10 (6f), B Brosnan 2-1, K O'Grady 1-2, B O'Connor 1-1, D Waters, T Rossiter 0-1. Derry - B McKinless 6; S F Quinn 6, C Mulholland 6, P McNeill 8; P Coney 7, E McGill 6, N Keenan 7; R Dougan, C McAtamney 6; C Doherty 6, E Lynn 7, P Cassidy 7; B Heron 7, R Bell 8, N Toner 6. Subs: C Bradley 7 for E Lynn (52), K McKaigue 7 for R Dougan (67). Wexford - C Swaine 6; M Furlong 6, M O'Neill 6, S Barden 7; G Malone 7, B Malone 7, E Porter 7; D Waters 7, N Hughes 6; B Brosnan 8, J Bealin 9, C Devitt 7; B O'Connor 7, E Nolan 7, K O'Grady 7. Subs: G Sheehan 6 for S Barden (h-t), J Cash 6 for M O'Neill (43), Ti Rossiter 6 for C Devitt (50), D Shannon 6 for N Hughes (64), M O'Regan 6 for E Nolan (71). Leitrim boss Terry Hyland recieved a boost ahead of the Division 4 final with a comprehensive victory at Páirc Seán Mac Diarmada on Saturday. Hyland praised his players, in particular Emlyn Mulligan, who returned to the forward line to hit five points. “We asked for a performance and they gave it. We want to perform well in Croke Park, win the game and move on to the Championship,” Hyland said. Waterford were slow to start, opening their account with a Shane Aherne pointed free after 13 minutes. A Ryan O’Rourke goal on 26 minutes followed by four unanswered points gave the home side a deserved 1-13 to 0-05 lead at the break. Leitrim then ran away with it as they emptied their bench before the Déise’s Dylan Guiry and Michael Curry’s consolation goals. Scorers – Leitrim: R O’Rourke 1-4 (3f), E Mulligan 0-5 (1 45), E Sweeney 0-3, R Mulvey, C Cullen 0-2 each; N Brady, D Flynn (f), S Moran, C McCauley 0-1 each. Waterford : M Curry 1-0, D Guiry 1-0, JJ Hutchinson 0-3 (1f), D Hallihan, C Murray 0-2 each, S Aherne, J Gleeson 0-1 each. LEITRIM – C McCrann 8, M McWeeney Capt.7,P Maguire7,C Reynolds 7, O Madden 6,M Plunkett 6, R Mulvey 7, C Cullen 8, S Moran 8, S McWeeney 6, E Mulligan 8, D Flynn 6, E Sweeney 8, R O’Rourke 8, P Dolan 6. Subs: J Heslin 6 for D Flynn 45m.G Reynolds 6 for O Madden 47m. C McCauley 6 for P Dolan 52m. N Brady 6 for E Sweeney 52m. D McGovern for S Moran 68m. WATERFORD – D Whitty 6, S O’Donovan 6,B O’Keefe 6,J McGrath 6,B Looby Capt.7,S Ryan 7,J Gleeson 8,S Aherne 7 ,T Prendergast 6 ,D Guiry 7,C Murray 8,S Whelan –Barrett 6,J Mullaney 8,D Hallihan 7,M Curry 6. Subs: JJ Hutchinson 8 for B O’Keefe HT. J Allen for T Prendergast 56m.B Lynch for S Whelan -Barrett 60m. D Fitzgerald for J Mullaney 60m. Two second-half goals saw Antrim finish their league campaign on a high with victory over Limerick in Kilmallock. The Saffrons were down by five points at the end of the first-half, but second-half goals from Matthew Fitzpatrick and Ryan Murray saw them travel back up north with the win. Jamie Lee’s six first-half points and a Cillian Fahy goal had put Limerick in control, but they could only manage four more points to the 1-7 they scored in the first half. Fahy took advantage of a slip in the Antrim defence to bury Limerick’s goal and further points from Mike Fitzgibbon and Lee put Billy Lee’s men five up at the short whistle. It was all Antrim after Murray slotted past Donal O’Sullivan for their first goal. Fitzpatrick then popped up with their second goal in the 53rd minute. It was always going to be Antrim’s day from that moment on. Scorers – Antrim: R Murray 1-4 (2f), M Fitzpatrick 1-2, P McBride 0-3f, S Beatty, J Smith (1m), C Duffin 0-1 each. Limerick: J Lee 0-6 (3f), C Fahy 1-0, S McSweeney 0-2f, M Fitzgibbon (1m), A Enright, P Begley 0-1 each. Antrim – A Hasson 6; P McCormick 6, P Gallagher 5, J McAuley 5; N Delargy 5, D Lynch 7, E Walsh 6; M Fitzpatrick 8, M Johnson 7; K Quinn 7, S Beatty 8, P McBride 7; C Duffin 6, R Murray 8, E Nagle 5. Subs: F Burke 5 for Walsh (h-t), R Johnston 5 for McAuley (h-t), J Smith 6 for Nagle (46), P Branagan 5 for Beatty (65), O Eastwood 5 for Quinn (68). Limerick – D O’Sullivan 6; S O’Dea 7, G Noonan 6, M Donovan 6; B Fanning 6, I Corbett 6, T McCarthy 5; D Treacy 5, S Keeley 6; M Fitzgibbon 6, C Fahy 6, M Fitzgibbon 6; J Lee 8, P Begley 6, P Nash 5. Subs: A Enright 6 for Nash (43), P Scanlon 5 for Lee (52), G Brown 5 for Noonan (56), R Lynch 5 for Treacy (61), P De Brun 5 for Begley (63). Ref – S Mulvihill (Kerry). 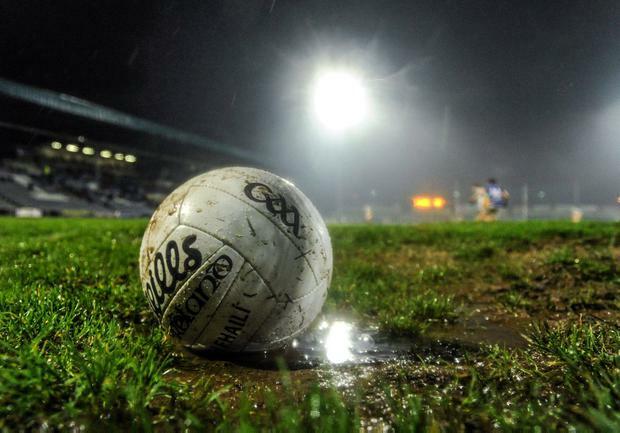 Wicklow avoided the embarrassment of finishing bottom of the league with a narrow victory over London in a dire affair at an almost empty Aughrim – 126 die-hards showed up. John Evans’ men failed to score until the 25th minute, when Mark Kenny sailed over a majestic effort against the wind. By that stage London had built up a 0-3 to 0-0 lead with points from Killian Butler, Lorcan Mulvey and Liam Gavaghan. The loss of Ryan Jones to a black card coincided with Wicklow’s purple patch and they clawed their way back to parity and then took the lead with points from Mark Jackson (free), and two frees from Gearoid Murphy. London hit just three points after the break, while points from Rory Finn, Anthony McLoughlin, Gearoid Murphy and another free from Anthony McLoughlin got Wicklow over the line. London – Noel Maher 7; Matt Moynihan 7, Eoin Flanagan 7, Conor O’Neill 7; Pierce McGirr 8, David Carrabine 7, Ryan Jones 6; Michael Clarke 7, Liam Gavaghan 8; Mark Gottsche 7, Barry Tully 6; Fearghal McMahon 6, Liam Feerick 6, Killian Butler 7. Subs: Liam Gallagher 6 for F McMahon (30), Aidan McGarvey 6 for M Gottsche (47), Sean Hickey 6 for L Mulvey (47), Conor Doran 6 in for K Butler (58), Ronan Devlin 6 for P McGirr (67).